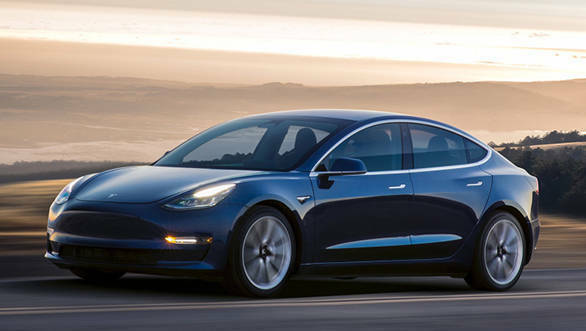 In a development that seems to perfectly capture the changes sweeping through the car industry worldwide, the Tesla Model 3 has outsold the sedan versions of the Mercedes C-Class, Audi A4 and BMW 3 Series in Europe. These cars are similar in size, price and equipment to the Tesla but all happen to be conventionally powered. In February, the first month of the car being available there, Tesla sold 3,657 Model 3s in Europe. The Model 3 is only available in left-hand drive markets as of now, debuting in Germany, Switzerland and Norway. The long-range version is available as is the top-spec Performance. Both get the dual motor setup. Prices start at USD 72,000. The Model 3 Long Range has a 560km claimed range according to the WLTP cycle. It gets from 0 to 100 kmph in 4.8s. This time drops to 3.5s in the Performance version, which also gets 20-inch wheels, in place of the standard 18-inch or optional 19-inchers in the Long Range. The Performance version's range is 530km, both weigh 1,847kg. But this news points to a larger picture. It shows that once the inherent limitations of EVs are somewhat addressed, like an infrastructure and charging network that supports these cars and sops to promote the switch amongst buyers, EVs can perfectly replace conventionally powered cars. 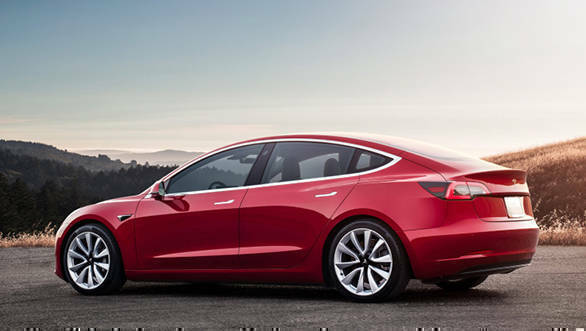 Know more about the Model 3's SUV cousin here.